In the song Chitta Ve, Rockstar Tommy Singh takes you on a trip. An amazing melody by Amit Trivedi. Groove with Sultan Khan and Aarfa in Baby Ko Bass Pasand Hai! The song Sab Tera is sung beautifully by Armaan Malik and Shraddha Kapoor with the music composition of Amaal Mallik and the lyrics by Sanjiv Chaturvedi. 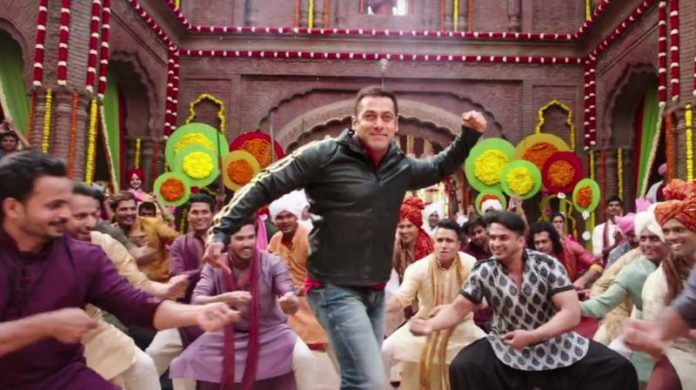 The song is crooned by Vishal Dadlani and Amit Trivedi while the lyrics are penned by Varun Dhawan. Diljit Doshanjh’s voice and Alia Bhatt’s story in Ikk Kudi will win over your hearts! Jag Ghoomeya jumps up to position six this week. Another great song from the album of Udta Punjab– Da Da Dasse in Kanika Kapoor’s refreshing voice. Feel love all around you with Mujhko Barsaat Bana Lo from Pulkit Samrat and Yami Gautam‘s Junooniyat. The song Bol Do Na Zara is sung by Armaan Malik, music composed by Amaal Mallik and the lyrics are penned down by Rashmi Virag. A short, sweet love story featuring Huma Qureshi and Vidyut Jammwal, the new version is sung by Rahat Fateh Ali Khan. Leave your comments about this list of Top 10 Bollywood Songs of the Week? Tell us below.